An action-packed weekend of music, food, activities, competition and fun! 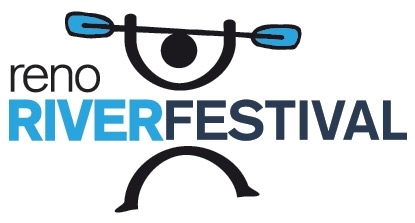 This 2-day festival is often considered the kick-off to the special events season and offers something for everyone. Enjoy interactive summer and outdoor experiences. The list of activities go on and on. Celebrate everything that is bicycle! This inaugural 5-mile costumed "slow" (aka casual) ride will kick off at the new Virginia Street bridge and finish in the heart of the Reno River Festival. 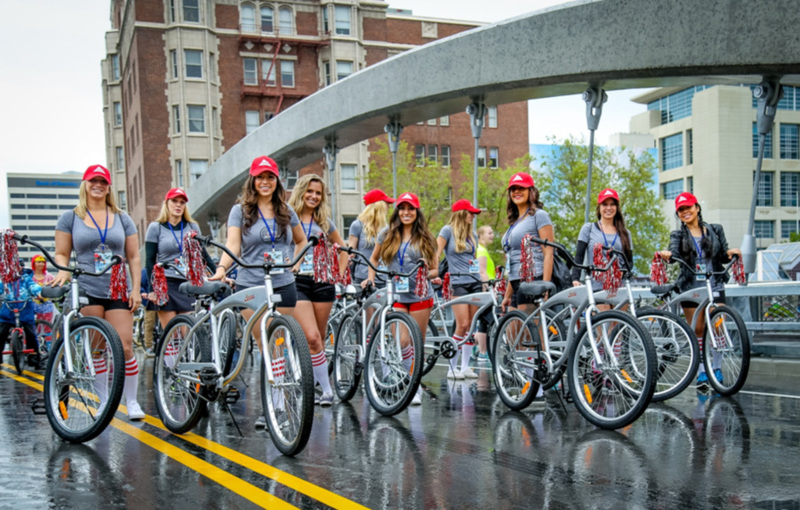 Tour the streets of Reno on your best ride while trailing a live mobile band and the Coors Light Girls racing team that will lead an experience unlike any bike ride you've been on before! 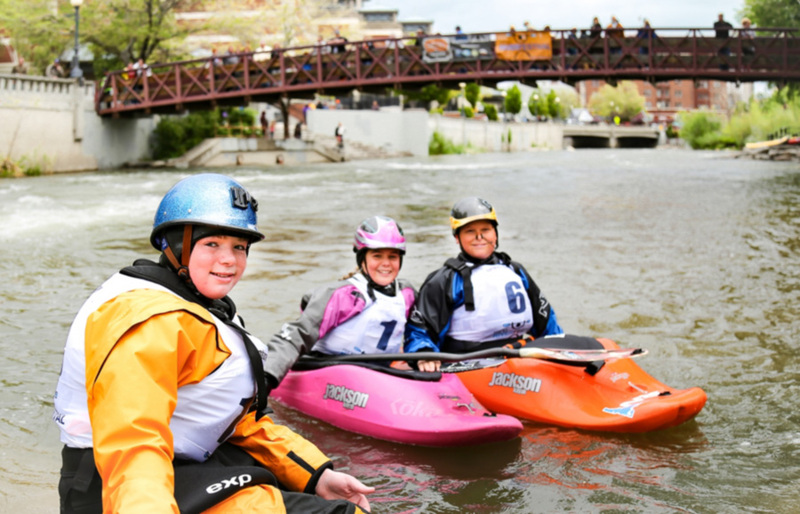 The Reno River Roll is open to all ages and to all types of bicycles. Smugglers Village - Featuring more than 100 different vendors selling everything from handmade crafts to popular retail items. 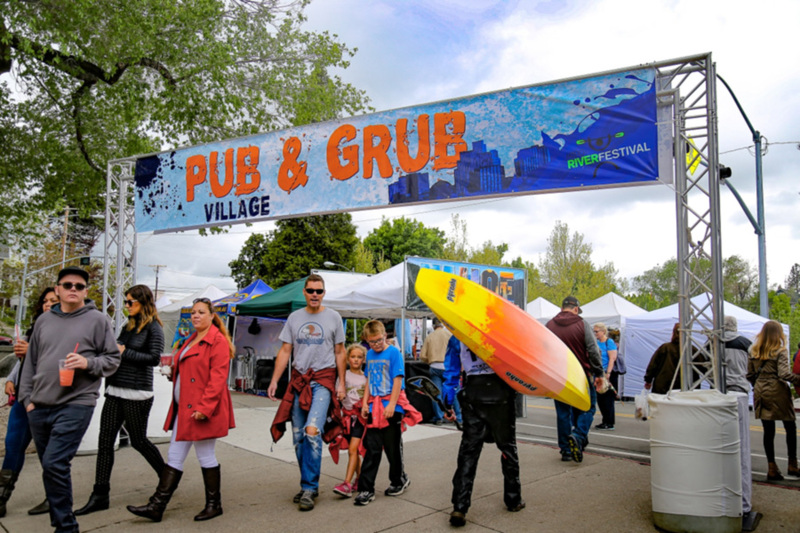 Pub N Grub Village - Serving up gourmet hot dogs, tacos, burgers, fried chicken, food on a stick, candy popcorn and a whole lot more. Reno Tahoe USA Adventure Park - Featuring the largest collection of obstacles and challenges ever features including the Truckee River Zipline, Mega Rock Walls, 30' bungee jumping, Mechanical Bull Ride, The Giant Roaring River Slide, Human Hamster Battle Balls and a whole lot more. Craft Beer Village - Enjoy a true outdoor bar setting with all of the elements of summer . . . . music, tables, chairs and shade. 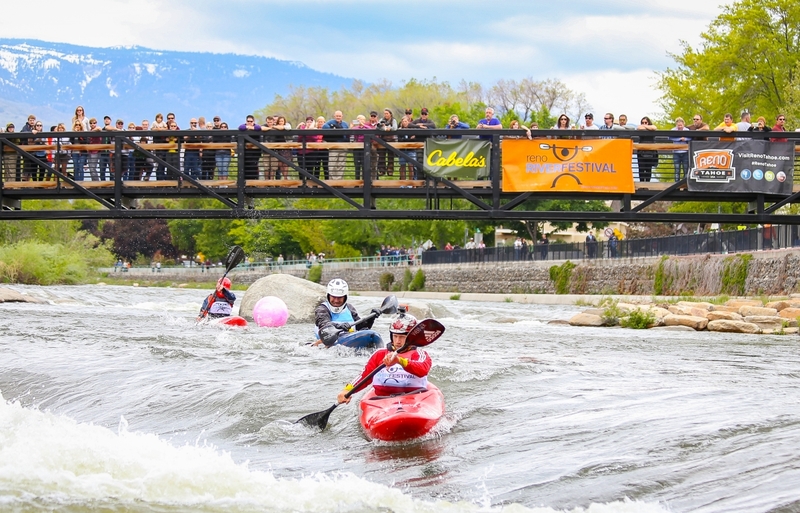 Oh, and did we mention the amazing views from the point of the peninsula of the Truckee River and the whitewater events? More than 18 different breweries will be represented. The Summer Wine Village - There is nothing quite like the light, refreshing taste of summer packaged into a crisp glass of wine. Relax under the summer themed shaded wine village with a VIP view of the Reno River Festival's music lineup.